Before discussing the Apology, maybe a word about the title of the confession is in order. When we hear and use the word “apology” we think of someone saying, “I’m sorry.” In fact, “apology” is an explanation and defense of a position. When a Christian author writes to defend the faith, such as did C. S. Lewis, he is issuing an apology of the faith. Such books are studied under the area of apologetics in the universities and seminaries of our synod. The Augsburg Confession was presented to Emperor Charles V in June, 1530. Although the Roman church was also summoned to the Diet of Augsburg, they did not present their articles of faith. Instead they wrote a reply to the Evangelical (Lutheran) Confession. This Confutation raised questions and gave comments about the Lutheran stand on doctrine. Philip Melanchthon, the author of the Augsburg Confession also wrote the Apology. The first draft of this confession was offered to Charles V on September 22, 1530. He rejected the Apology because he was not prepared to impartially judge the questions of doctrine. Upon this rejection of the Apology, Melanchthon continued to revise and expand the various sections. It was finally published in May, 1531. The Roman Confutation discussed fourteen articles of the Augsburg Confession. Melanchthon chose to defend these articles. 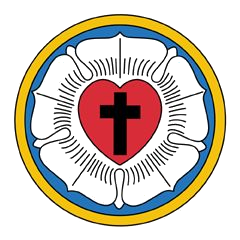 As with the other Lutheran Confessions, the views expressed build on the Lutheran principles of law and Gospel, sin and grace, faith and justification. Throughout the Apology Melanchthon wrote of God’s saving grace which He showed through His Son. With the publication of the Apology and Rome’s refusal to discuss the points raised, the breach between Rome and Wittenberg was complete. Luther’s cry of “Here I stand” was echoed in the Evangelical church. Text of the The Defense or Apology of the Augsburg Confession in a new window.